My Impressions: Simon Says Stamp STAMPtember Release and Birthday Boy Card! 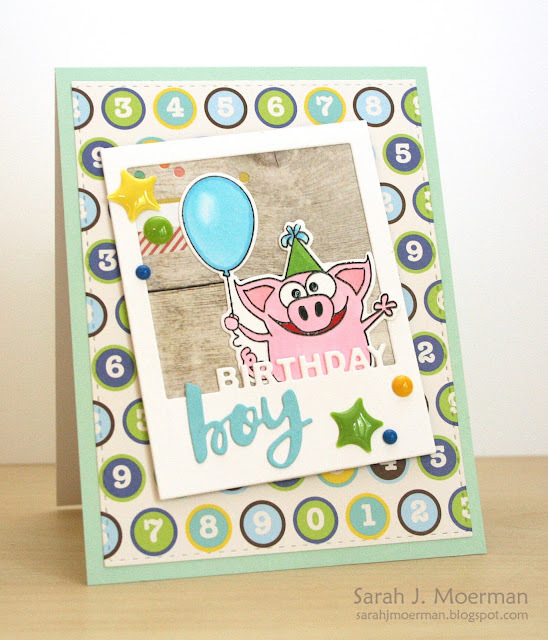 Simon Says Stamp STAMPtember Release and Birthday Boy Card! Today's the day! 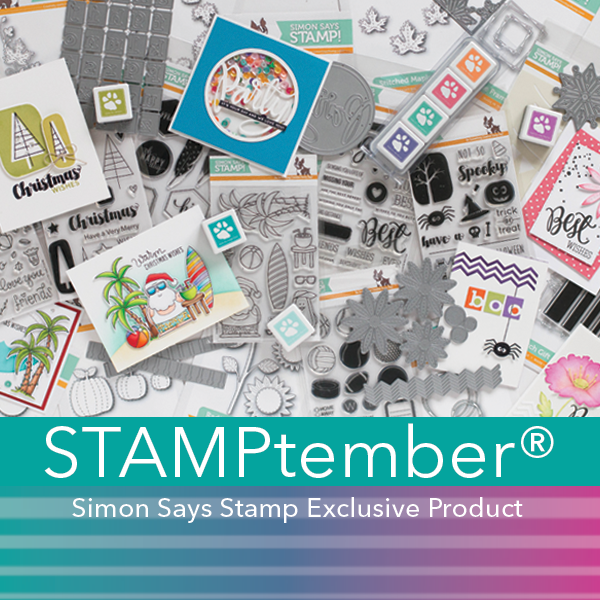 September 1st means the beginning of Simon Says Stamp's month long STAMPtember celebration! To kick things off in a big way they've come out with a fabulous new product release including stamps, dies, a stencil, new hybrid inks, and notecards! Did you happen to notice Simon's BFF has been revealed and his name is Dexter?...and he's a PIG! 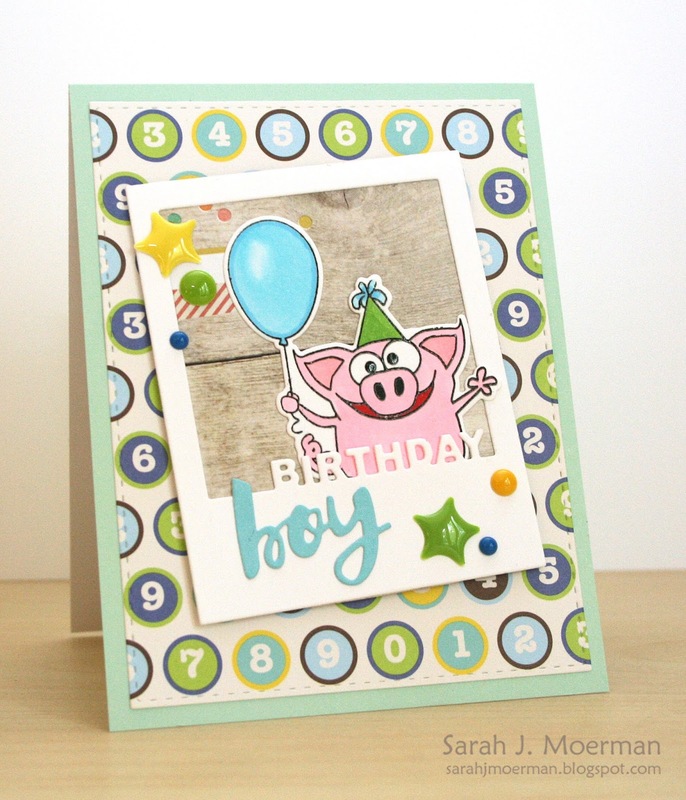 I didn't know that when I made this card but am excited to get my hands on more piggy stamps via the adorable Dexter and Simon Stamp Set when it's released on Friday! That's it for me today! Let me know what your favourites are from the STAMPtember release! Super fun no birthday boy card!! Love it all -- but especially love the Santa with surfboard. How cute is that? Such a Huge Release! Happy Stamptember, Sarah! I love to see what you're creating. This photo birthday die will be so versatile. I love how the word birthday sits on the edge and could be trimmed off for another occasion. Great Card, I enjoy seeing what you're doing with patterned papers! Thanks, Paulette S.
So cute. I keep wanting to do birthday boy cards but I don't have a decent boy sentiment stamp so your card is great.